The documentary, Dreaming Out Loud was produced by Rick Castiglione, documentary maker and founder of Cielo Pictures and has been shown several times on CTV. It documents the Building Hope Project from its inception to the completion of the first two classrooms at Enkare Ngiro School. Click here to view the documentary. 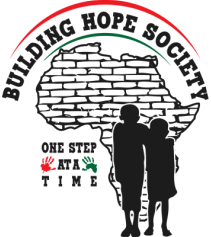 "Students Build Hope for Kenyan Children" Click here to read the article. "Blackie School gets a visitor from a world away". Click here to read the article.